Shop Knowledge center Crop care What is a shading agents? Not many crops can bear full sun or high temperatures. This is where a greenhouse shading agent can offer protection. The crops in the greenhouse can be protected with a layer of chalk, to reflect light and heat in the summer. This prevents climate peaks within the greenhouse, protection the crop throughout the entire season. 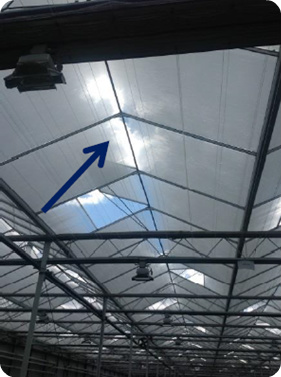 A greenhouse shading agent reflects light and lowers the temperature in the greenhouse. As a result, less evaporation within the crop occurs, preventing the plant from drying out and hanging loosely. It can be stated; a greenhouse shading agent improves the climate in the greenhouse. Eventually, this leads to less stress for the crop and a better result. Signs of wear on the roof-ridge is very disadvantageous to the crop. Therefore, it should be minimized. 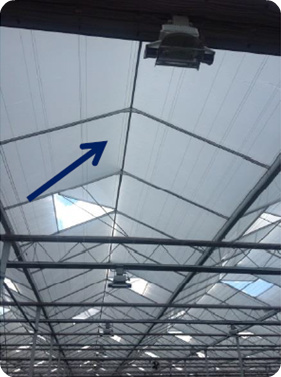 The roof-ridge is very important in greenhouse shading, since this part of the greenhouse gets most of the sun, from morning till evening. Also, the roof-ridge is affected by rain, hail and wind. Therefore, it is crucial that the roof-ridge is covered properly. For this, you can use a high-quality greenhouse shading product which is wear-resistant. It is also possible to chalk (meaning: apply a greenhouse shading agent) several times with a relatively cheaper product, which is less wear-resistant. It is recommended to always ask for advice when choosing a specific product. Most growers choose to apply their greenhouse shading agent mechanically by hiring a threshing contractor. This guarantees a correct application of the product, in the right quantity. It is also an option to apply this product manually. However, this brings along risks. The method of working is less precise, with the result of certain parts of the deck not being sufficiently covered. This could result in holes or stains in the layer of the greenhouse shading agent. Holes or stains let light through, meaning the crop is not protected entirely. Questions about different shading agents? Do you have any questions about crop care, or do you want personal advice about greenhouse shading? 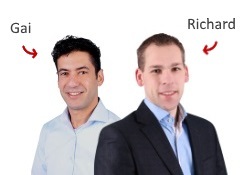 Contact one of our product specialists, or use the form below. - What's the difference between the shading agents Q3 White and Q4 White? - What is diffuse light? - How to use a diffuse coating? - Which different diffuse coatings are available?